The exhibition, which is entitled “Traditional Folk Culture through Touch”, is not intended only for blind and visually impaired visitors. 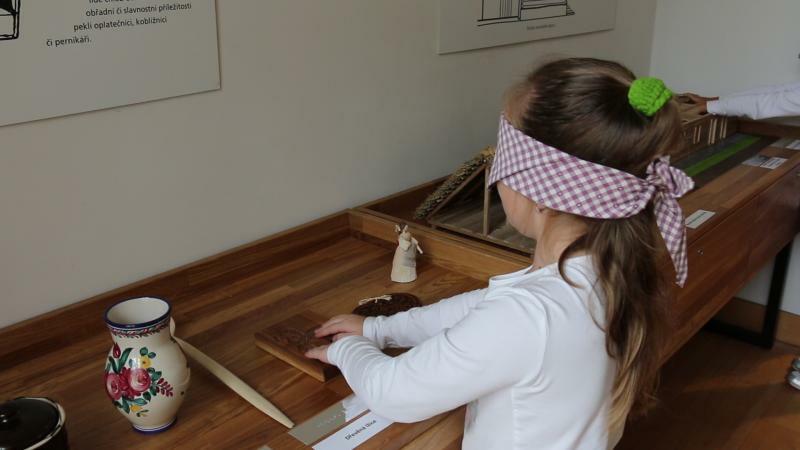 The new exhibition at the National Museum’s Ethnographic Museum brings selected topics related to the village life of our ancestors in the 19th and 20th Centuries to both visually impaired and blind visitors. It is intended for all visitors, however. The rural atmosphere of the 19th Century was an environment in which traditional folk culture based on life in past centuries was maintained and was also documented in detail. Although the folk tradition began to fade in the 20th Century as a result of major changes that took place, a number of manifestations and documents of folk culture, especially in the realms of customs and habits, have remained a part of our lives. The exhibition comprises the products and the tools of folk craftsmen, the performance of traditional folk songs and also costumes, together with samples of the legumes, grains and herbs that were used for food preparation. 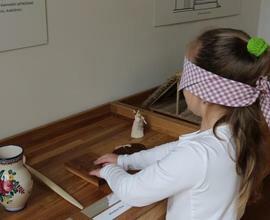 Visitors can also explore a wooden three-part 4D model of a village type house in detail. Every visitor can learn more about the objects that represent the traditional folk culture. There are eye masks placed in the exhibition with which visitors can pass through the exhibition using their touch and thereby acquaint themselves with the world of the blind and the visually impaired. The exhibition is accompanied by a supplementary programme including the presentations of items that were used at festive times and programmes with commentaries describing the traditional feasts and the folk customs and traditions, not only for the blind and visually impaired visitors, but also for the visitors from the schools and the interest clubs. The exhibition is also accompanied by a catalogue entitled “Traditional Folk Culture through Touch” that has been implemented both in Braille and in large print. This haptic exhibition was created as a part of the project entitled Memory Guardians: 200 years of Museums in the Czech Republic, which has been funded by the Ministry of Culture of the CR. A view of the exhibition, “What is it like to ‘look’ through a touch”, can be tried by every visitor.